What do people treasure the most and why? 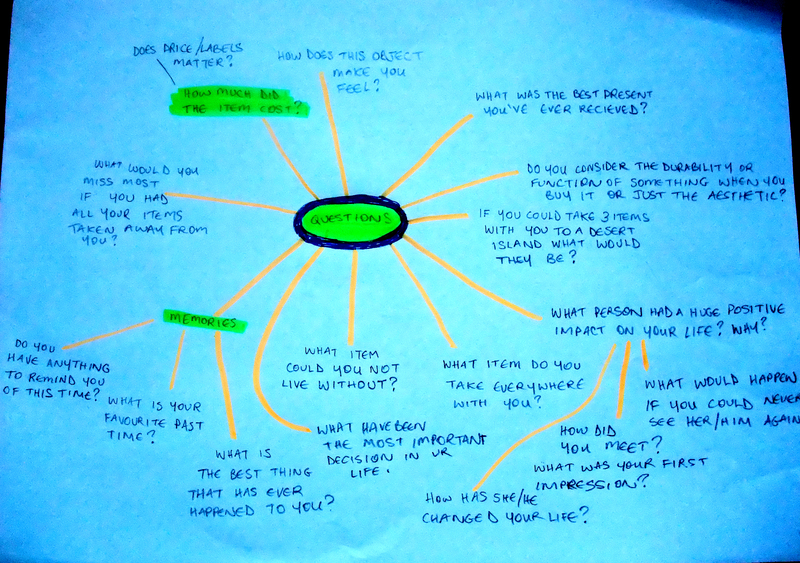 Before carrying out the interviews I decided to brainstorm different areas the topic covers, different things I wanted to find out, and the types of questions I could ask. I held the interviews in my bedroom with lamp lighting and incense burning because I wanted to create a nice chilled-out atmosphere where people would feel comfortable and relaxed. To begin the interview I informed the person of the main question to give them an idea of what the interview was all about. At first they seemed a little unsettled and indecisive, perhaps they have never thought about it. However, I told them I would ask different questions to get closer to what they treasured most, such as ‘what is the best present you have ever received? Why?’, ‘what is your favourite pastime? Why?’, ‘which person had a huge positive impact in your life? Why?’ I was surprised by the amount of contribution and information people gave me as they ended up giving me very personal and sentimental stories – there was one story which brought a tear to my eye! Overall, I found that what people treasure is, in fact, other people – relatives, friends and family. One girl said she would not be who she was because of her best friend, everything she does reminds her of her friend. So does this mean whoever you get close to you become similar to them? You get inspired by their actions? Begin to think the same way? Possibly, Pierre Bordieu suggested that over time you begin to dress similar to the people you spend a lot of time with. The majority of the people said they feel inspired and determined to do better by the people they love most, thus, friends and family are very influential in things you, for instance, my dad is a very hard worker and smart which makes me want to do well at everything I do. A girl told me she treasures some sacred rosary beads handed down from her great grand-father. Firstly, I felt very touched that she would share this with me, but it also conveys how an item can be transformed into such a powerful and intimate thing. It is as if the beads have healing properties that can curb loneliness, this stresses the importance of items which are given from close relatives, as if they have left behind their presence in an item. I discussed my findings further with others. We all had similar results, people were of most importance. I read part of an article: Jussim, L., Wayne Osgood, D., (1989) ‘Influence and Similarity Among Friends: An Integrative Model Applied to Incarcerated Adolescents’ , Social Psychology Quarterly, Vol. 52, No. 2 pp. 98-112, which discussed how we are tied to each other – how other people act and express feelings can become a strong influence. These findings suggest just how important people are in shaping the way we act and behave in everyday life, perhaps we do not know or even want to believe we are so easily influenced but in reality you are influenced. Overall, I believe my interviewing technique was good because all my questions were not yes and no answers, people expanded frequently on what they were saying. I got a lot of useful information out of people. I actually think people contributed more because of the atmosphere and the manner I spoke to them, as if I were just having a casual chat with them which in return made them feel more comfortable. All the interviews were recorded (I informed them beforehand) which did not make a difference in the way they spoke, I think it was because of how relaxed the conversation flowed. From my findings, I believe people treasure family, friends and relatives the most, as they shape the person who they have become, strive them for a better education, and are there for support when times get hard. Objects can only do so much in the end. Frustrating – that’s what sums up Rhino for me. Rhino is a 3D modeling tool for designers on the computer, it kind of reminds me of Auto-CAD. 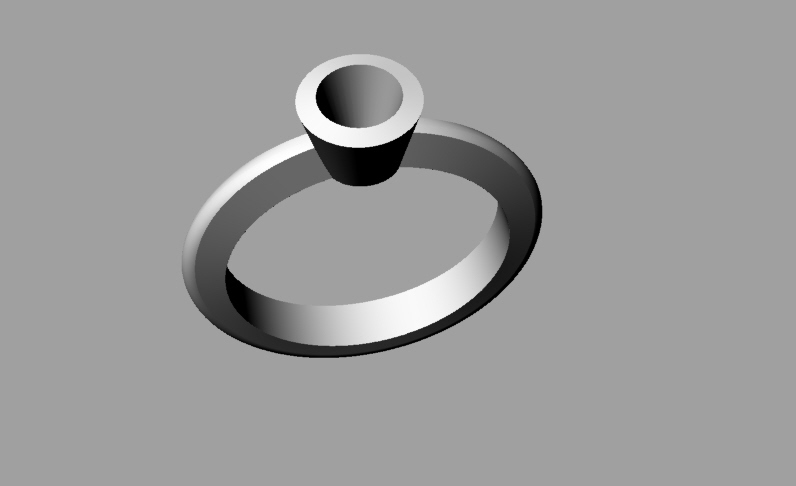 This week we have been introduced to tools and techniques on making jewellery which would be suitable for casting on the software. This is what I have made so far. Tools I used for these designs were: Revolve, Sweep1, Boolean Difference, Polar Ray and more. 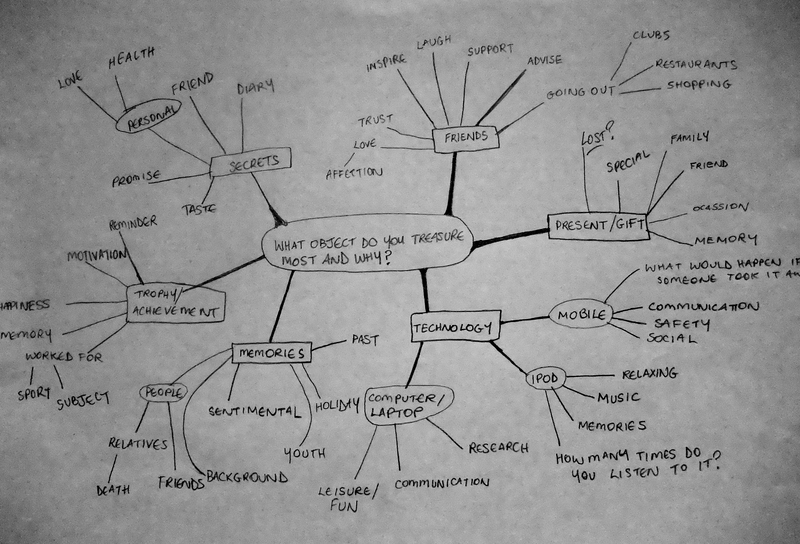 I think this software can be extremely beneficial for designers (if they know how to use it!) 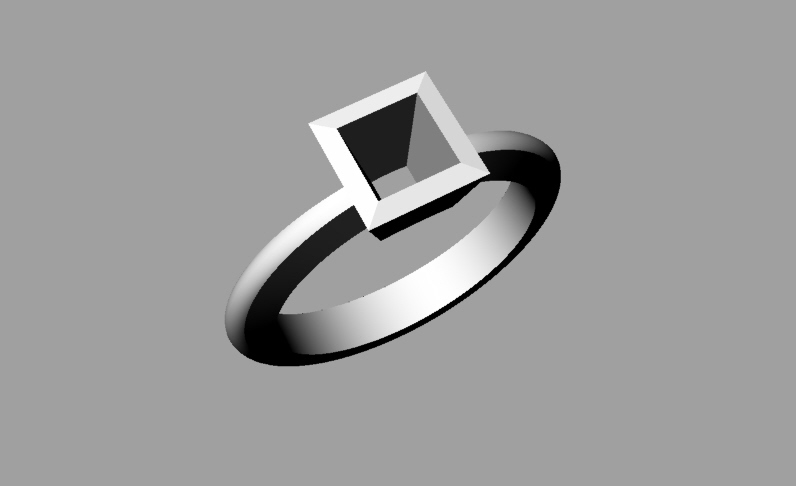 as it can be fast to model things and alter them without starting from scratch and dimensions and sizes can be very accurate. But, for me, I like the drawing bit in designing and having that ‘organic’ look on your final pieces – it becomes more ‘one of a kind’. So I think this program is good for making things in bulk – for a mass market. 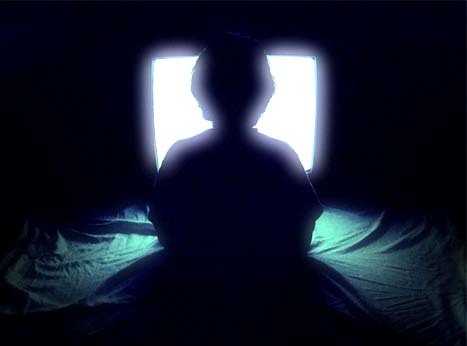 I watched a really interesting documentary about video game addiction. Why is it so addictive? What could possibly strive someone to play for hours? How much is too much? Feeling irritable, angry and restless when you are not playing video games. Obsessively thinking about video/PC games and playing them whilst doing something else. Spending more and more time playing video games but at the same time feeling extreme guilt. You would rather play games than spend times hanging out with friends. Lying about how long you play video games. Migraines – due to the intense concentration needed to play video games one may get painful headaches. Sleep Disorders – may be caused by one thinking about the game constantly thus finding it difficult to sleep, also may be because your brain is being overstimulated. Sore Back – As you play video games one will tend to sit for hours on end in the same position. This is the most common symptom within game users. Eating Problems – One may simply forget to eat because they are so zoned in on the game, they may not want to eat because they don’t want to waste time. Carpel Tunnel Syndrome – caused when the main nerve between the forearm and hand is squeezed or pressed, thus the wrist may become swollen and sore. 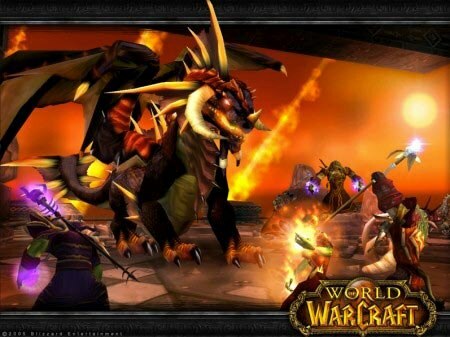 We spend over 3 billion pounds on gaming, World of Warcraft has sold more than 12 million worldwide and is the most successful game ever made. Players say that they can begin to substitute the real world with the game world in which they play, thus can have a derogatory effect on your life as it can cause you to lose friends due to the isolation. Robbie Cooper is a video artist who is interested in facial expressions children make whilst playing video games and watching television. The difference between children watching television to the children playing video games is video games pull you in so much quicker. There was one child who actually did not blink at all because he was so engrossed in the game, thus, caused the loss of his blink reflexes. Personally, Cooper’s outcome is quite disturbing as it conveys how gaming has become such a powerful form of entertainment and how immersed people can get – even to the point of forgetting to blink. Overall, I think game addiction is so addictive simply due to their design. Whilst playing computer games I feel a great sense of achievement when I gain a point or a ‘new life’, and it is these small wins that keep me hooked to the game. Makes me think ‘I can get further’. Casino gambling acquires a similar tactic, small wins of money keeps them playing. This simple idea of new lives can keep me playing video games for hours without even realising. I am grateful that my parents did not allow me to have a Playstation or else I would probably never see them, thus, believe parents should become more aware of this addiction and consider the effects when buying computer games for their child. On Saturday evening, I attended a very interesting lecture by Developmental Psychologist, Vasudha Reddy. Reddy is from the University of Portsmouth and, not only, studies the development of children but is particularly interested in the development of babies as well. 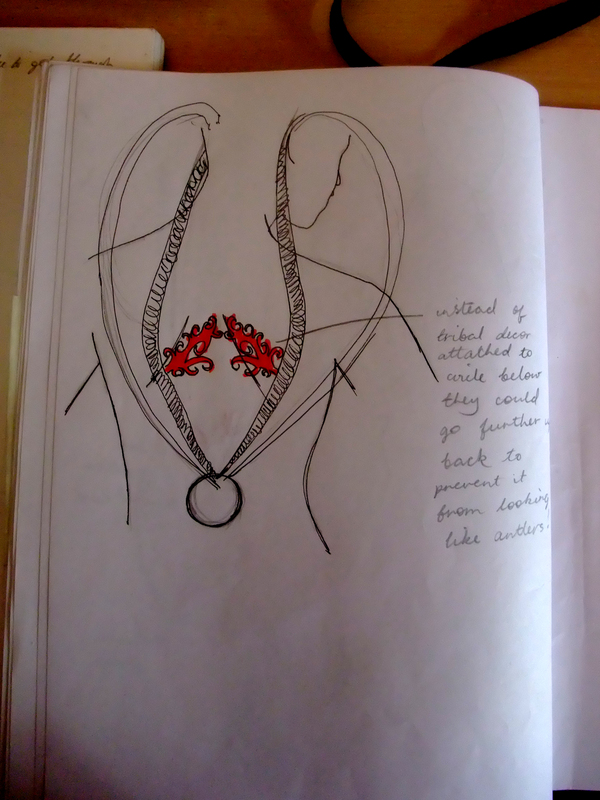 She focusses on what babies help us to understand about the nature of human experience. First Reddy defines the difference between dialogue and genuine dialogue. Usually when people talk about dialogue they think in terms of logos, the word, verbal conversations, but in early development most people who use this term are open to considering it in non-verbal communication also. What Reddy means by dialogue is the process in which two persons, a person and a thing even, can genuinely connect. She then explained her influence from Martin Buber: Buber believed that a ‘lack of a script’ was necessary for genuine conversation. If two people were to have a conversation with a script it would be dead and fake, thus, will be expressionless as they will both know what lines follow next – so no surprise there. Categorisation/Objectification – we all do it, for instance, you go to a party and someone asks you “what are you studying?”, and they have switched off as soon as you have said “art & design”. They are not interested because you do not study a similar discipline to them. Another example is you see someone in a suit and you instantly label them as being spoilt and snobby: you categorise them even before you have spoken to them. Invisibility – When people do not notice you, in an office, for example, or going to a conference and the speaker does not look at you once or select you to ask a question. Exclusion – Reddy explained that even when you know that you are being excluded it can really hurt. For example, there was an experiment carried out where she asked three children to play a simple ball passing game, then asked two of them to pass only to each other leaving the third out. It did not take a minute for the third to feel excluded, even when she knew it was not intentional, there was something so powerfully hurtful. Something hair-raising about his voice – the deep comforting voice – and there is also something in this foreigners speech which is calling out for us to join him. Even when we do not understand what Hadjidakis is saying, we are interested in his voice and this is what babies are faced with: this powerful invitation to join in a world they do not know yet. So let us look at examples of very early invitations from others to come and join in the world and look at their responses. You can even see babies invited to join the world by animals. However, there is a lot of debate whether this is imitation or intentional. Reddy displayed two faces which were shown to new-born infants within 2 to 5 days of birth. In one of them the eyes are looking away and the other the eyes are directly looking forward. New born infants looked longer and more frequently at the eyes looking forward than the eyes looking to the side. This could be down to preference. Showing off – for instance if I finish a drawing and you like it, so I do some more to get more praise from you. Clowning – where babies imitate a facial expression and cause someone to laugh, for example. Teasing – something a baby does deliberately to get a reaction from the parent, for instance, baby dropping something on the floor, parent consistently picks it up. Baby finds this amusing. Outcomes may vary depending on the mood you convey whilst looking after your baby. For instance, if a mother is depressed whilst looking after her baby, the baby may express things unlike others: either suppressing attention and emotions or over-expressing. But what is the motivation for their dialogue? Is it because they want to join in? Want to belong? Is it for socialisation or survival is well? Surely it would be all, if someone offered them food when hungry they would take it to survive. If they did not talk they would feel like nothing and depressed. Overall, I feel that it is particularly important to engage with babies as well as observing them because everyone, even babies, like to feel useful and create reactions from others. Also, responding to a baby’s action is valuable as it may cause distress. I believe engagement and interacting with your baby will strengthen your bond, thus, lead to a happier baby in future . This project was pretty challenging. 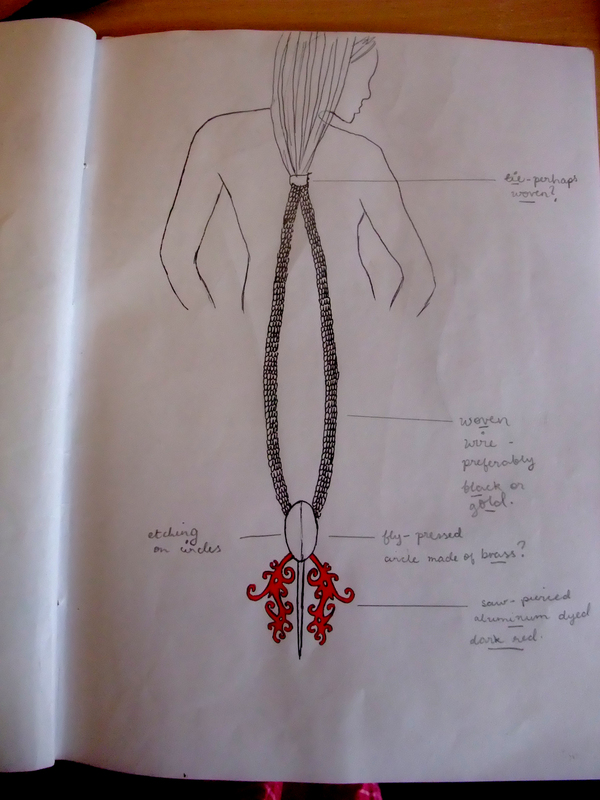 We were asked to design an extravagant and unusual piece of catwalk jewellery. The inspiration for the piece, being a particular culture or a specific period in history. We were advised to make use of scale, colour and form. 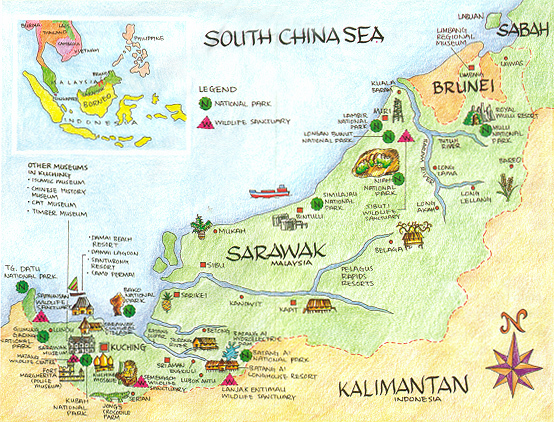 In the end, after spending a lot time researching different cultures and designers, Sarawak became my theme. Sarawak is a Malaysian region in north-west Borneo, and means a great deal to me because when I was young, my family took me trekking around there and we even lived with the tribe for a couple of weeks. What an experience. I focussed mainly on colours they use, symbols and tradition. 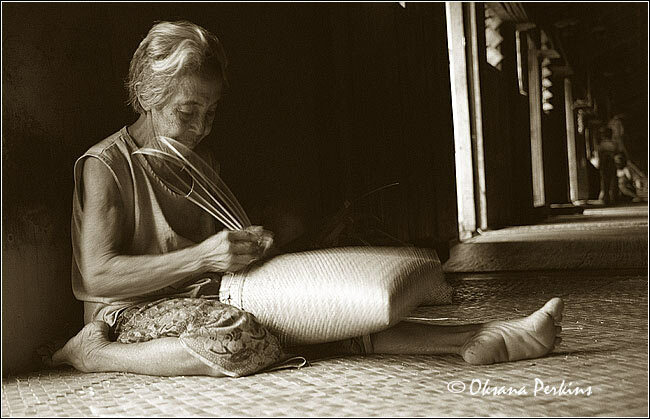 I experimented with weaving, which is a huge tradition in Sarawak, the woven art possess symbols and designs which represent certain animals like deer, birds, frogs, etc. These symbols are meant to protect the village by warding off bad spirits. 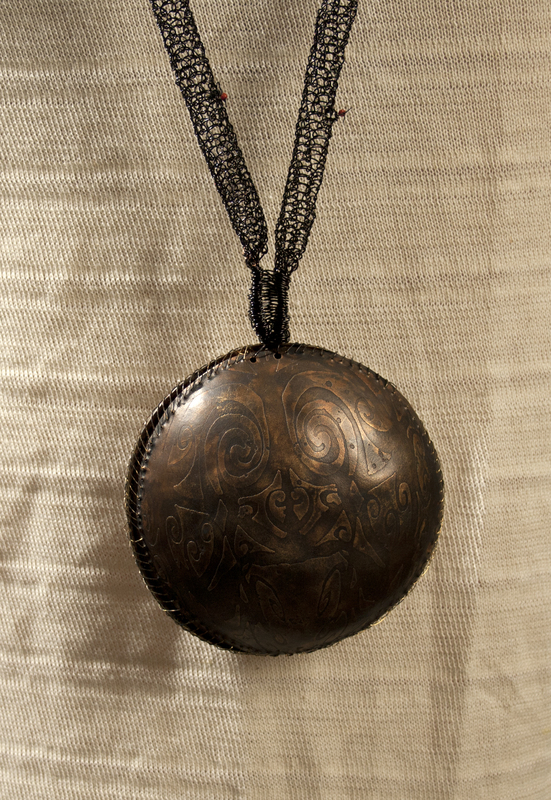 You can see some etched tribal designs on the circular pendant hanging from my piece. 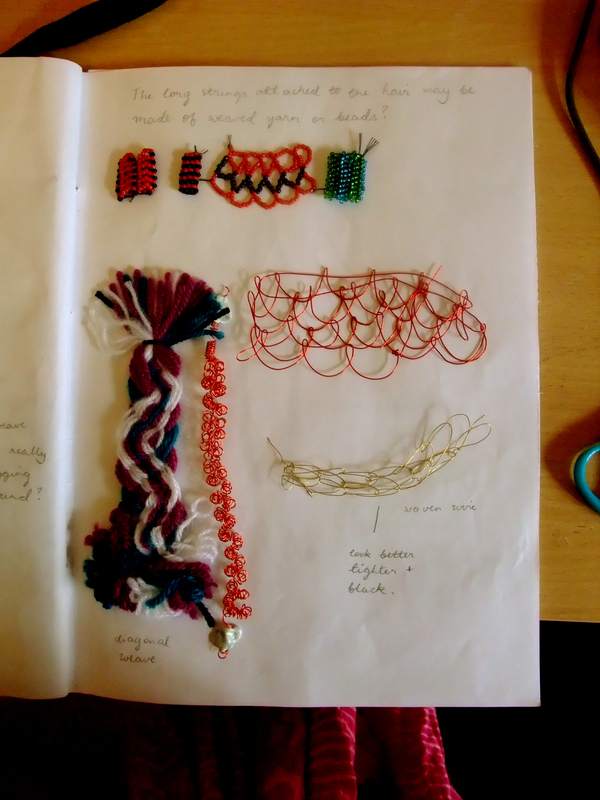 In addition, I practiced weaving in wire and yarn and ended up weaving 2 long tubes of black wire which took me AGES. I could have machine knitted the wire but my intention was to keep up the tradition of Sarawak and keep weaving by hand. There are two colours running consistently through my piece (black and red), this is because red and black are used frequently in Sarawak art and textiles: red representing sacrifice, courage and determination; black symbolises rich natural resources and wealth of Sarawak such as timber and petroleum. The black weaved tubes are attached to both ears creating a feeling of awkwardness and weight. The reason behind this is in Sarawak, they consider lengthened ears beautiful thus wanted my piece to be more of an experience rather than aesthetic. To express the true pain of beauty and tradition in Sarawak. 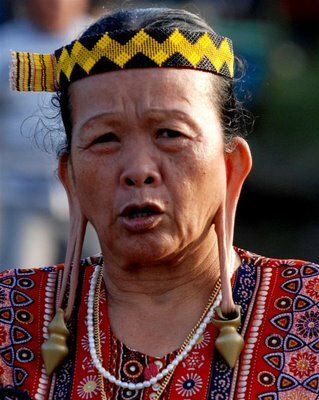 I have had people ask me “would this be kind of sore to wear?”, well yes of course, but this is nothing compared to some of the weights Sarawak women have to dangle from their ears. They can be up to 100 grams in weight each! Near the end of the project, we were taught how to use the photography studio. Man was confusing at first! Really enjoyed it though. I really enjoyed this project as it allowed me to experiment with unfamiliar materials and different techniques (weaving, photography, etc). However, it still seems unfinished to me so will work on it during the easter break. I strongly believe jewellery should not only be aesthetically beautiful, but tell a story, have a deeper meaning. How, in some countries, beauty must be accompanied with pain. This assignment was all about observing people. I enjoy watching people (not in a creepy way!) thus took great pleasure in carrying out this experiment. Ethnography allows us to understand norms like, for instance, different cultures. Muslims wear a head scarf (tudong) because of traditional reasons, and due to keeping with the commandments of Allah. However, in UK people do not wear headscarves, and sometimes we like to expose more skin than others. This may be normal to the everyday UK civilian but what about Muslims? This is all about respect, and I guess if you have come to UK from a country full of tradition and customs, you would expect to see more skin than usual. This should not affect the way you talk to them or think of them as you are in their country which has no rules on these customs. Ethnography takes into account how powerful communications are. 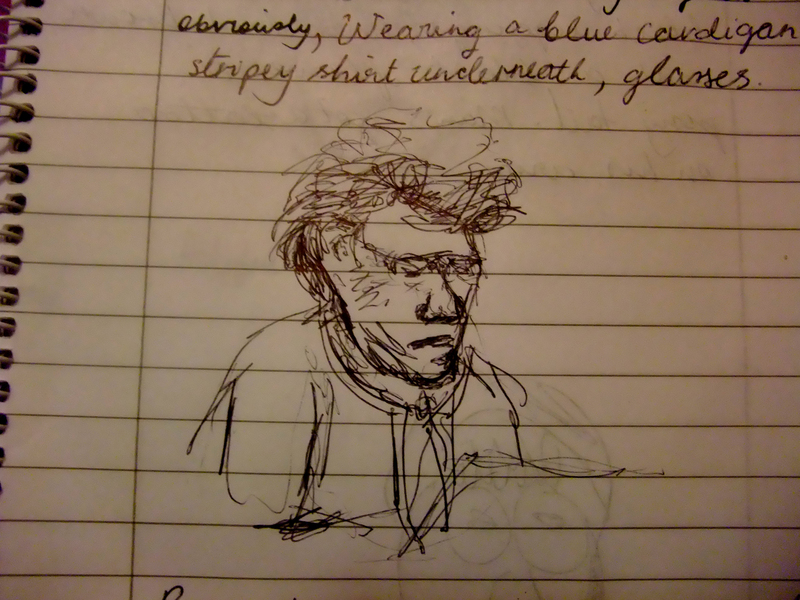 Whilst listening to a lecture I may disagree with the person speaking and react with an expression of awe. It was the power of words that caused my reaction. Sometimes I may see someone looking confused suggesting they do not understand the way in which the person is expressing something. For designers, you may have to work out exactly why they are confused and design a method which they will understand. Maybe it’s visually? By observing reality you should discover that watching what people do than say is much more meaningful. For instance, I knew a girl who announced she was vegetarian. The next day I saw her eating a bacon roll. For a designer, they could research real emotions and intentions and convey these realities through a piece of work to the public. People may become inspired and feel they ‘connect’. After reading the ethnography extract, I headed out to find people to observe in what’s called a ‘Primary Site’: somewhere I have not been before. So I decided to give Mecca Bingo a try. As I sat down I realised just how big the hall was, the carpets and walls were dramaticly coloured in reds, blues, pinks, which create a sense of excitement, speed and energy. Whilst glancing round the people sitting completely absorbed into numbers, I noticed a surprising variation in age. 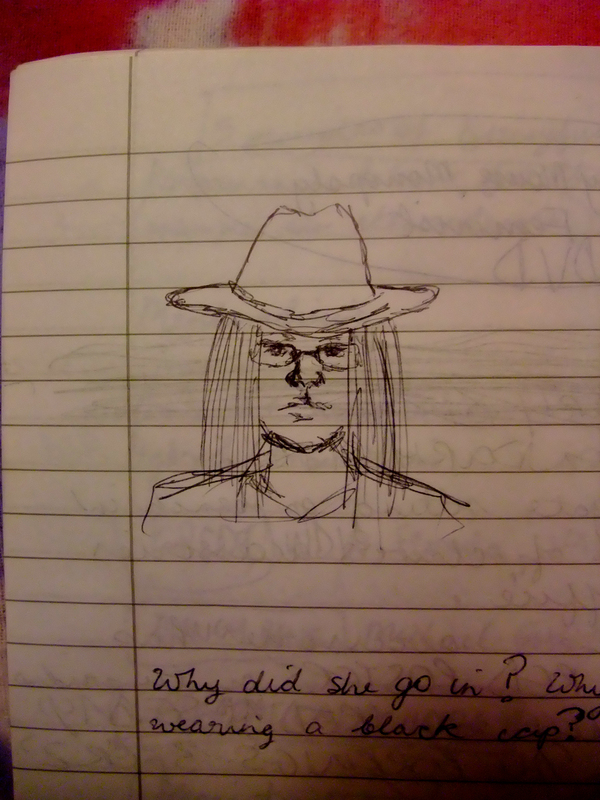 The room was completely silent apart from the caller giving out the numbers and scribbling of pens, which created a feeling of suspense as if a climax was growing. This feeling of tension made me feel a little uncomfortable at first. A mature lady, about 58, sat at a table on her own diagonally to me. It was clear she was a regular here as she seemed to be extremely fast with her hands and reactions. But why was she sitting on her own? In fact, I became aware that there were many older people who sat by themselves. Where was their husband/wife? Was this her/his alone time? Or did she/he prefer the wins for herself/himself? I believe this was just a hobby this lady enjoyed playing by herself as she did not look up and glance at what other people were doing. She wore a blue cardigan, a striped shirt underneath, glasses and hair cut short. As w e entered the hall we had to buy a little booklet to play the game, the one I got cost £1 but the person who was selling them was beginning to explain the other booklets you could get. She said things like “you have a chance to win £4000 if you get this booklet” or “this booklet is a common winner” etc. She actually enticed me into buying these things but I had to keep reminding myself it is very unlikely I would win anyway. There is also a little coin slot machine and numbers built into your table area where you can play more bingo but win bigger money. This entices you because it is in very easy reach and of course the money. The staff are amazingly friendly and calm, we had a good long chat with the manager of the place. I told him how surprised I was to see such a variety of people playing bingo. He said monday afternoons are usually the most varied, people from 18 to over 85 come and play no one in between. Why is this? Students wanting to make a bit of cash between lectures? Pensioners I think just come and enjoy a day out which sounds nice. However, this sense of friendliness is clever so that people will never feel afraid to come back. Between games there seems to be a bit more chat and almost a sense of relief from concentrating so hard. I felt it too. I then observed a couple, roughly in their late 20’s playing quite happily. Perhaps they met at the Bingo hall. The man was wearing a grey shirt, dark blue jeans, and had a tattoo on his arm. The woman had a white thin blouse on, black leggings, dark brown hair in a pony tail and a black flower in it. This makes me feel that Bingo isn’t just a hobby for old people, it is for young people too. 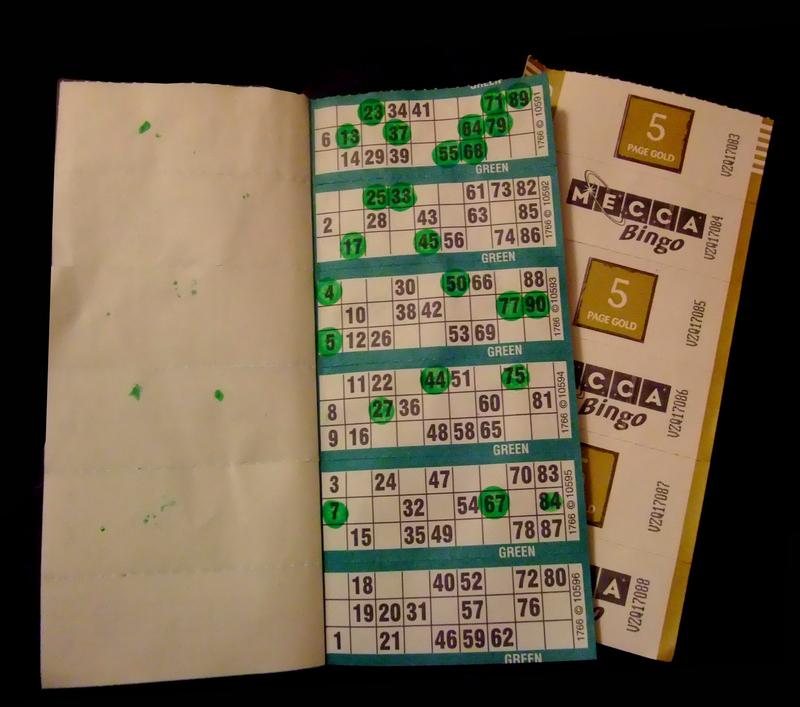 At first I was unsure about playing Bingo, but as I saw the huge age range of people, I felt more content and comfortable. I guess you can say it is because being around people like you doesn’t make you, by yourself, stand out and look weird, thus makes you feel less nervous and self conscious. So today after a busy day, I sat on a bench in front of Claire’s and Office in Overgate. There was music playing in the background to create a casual but comfortable atmosphere which is beneficial because it relaxes people whilst they go about doing their busy shopping. On the windows of Claire’s there were 4 over-sized red posters which had ‘RED NOSE DAY’ and one which had ‘ALL EARRINGS 3 FOR 2’. Simple signs like these can make all the difference as it catches people’s attention and lures them in. I finally laid my eyes upon a lady, possibly in her mid 20’s, average build and long dark reddish-brown hair (most likely dyed) which stopped just below the shoulders. She wore a beautiful black corset jacket, black glasses and a black fedora-like hat (notice everything is black?). She was accompanied by a friend, who she chatted seriously to for a second then made their way into Claire’s – possibly being enticed in by the massive posters. She tended to pick everything up and feel it, to me, this suggests she takes things into great consideration, she is inquisitive or maybe just simply interested in the tem. I believe it is important for customers to be able to touch things as they will get to know the piece and identify with it. If everything were in plastic casings it would be less of an attraction: you would not know how well it had been made and how it feels to wear. Another two girls walk right past, about 16 years of age, one of the girls is chatting away to her friend in an annoyed serious tone. Was she talking about a someone she found annoying? Or was that just her normal manner of speaking? She looks like she takes great care in her appearance: fake tan; thick eyelashes; leopard print top; chestnut-brown hair. As she speaks she does not look once at her friend, is this a real friend or is she on the look out for other people? 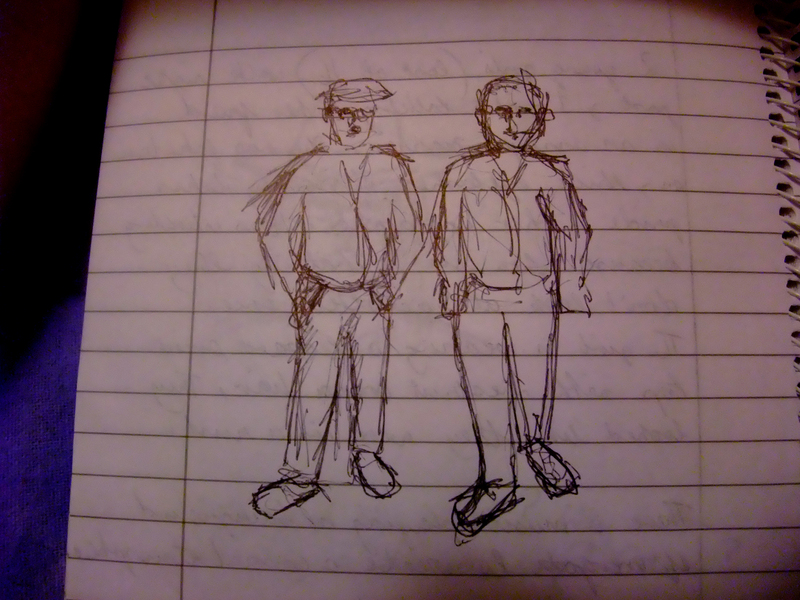 Two old men, both wearing glasses, green weather-proof jackets, black trousers walk casually past, enjoying conversation with one another. It is clear they are extroverts and have been friends for many years just by looking at their cheerful and relaxed body language. They do not look into shop windows, in fact they do not look like they are shopping at all, perhaps just having a nice walk through the town. Why are they dressed the same? Is Bourdieu right? Is it because of their friendship they have begun to dress similar to one another? I made the Health Care Centre in Wallace Town another Secondary site as I was waiting for my appointment with a doctor. The room had a low ceiling, drab lighting, old faded carpet and furniture and was very quiet. There was a mother and her daughter sitting across from me, the girl had a white cardigan on , glasses, hair tied in a pony tail, black trackies on and trainers.I suspected she was the one in for the doctor. She was immersed in playing a game on her pink phone. Was pink her favourite colour? Pink symbolises energy; excitement; fun – does this represent her personality? 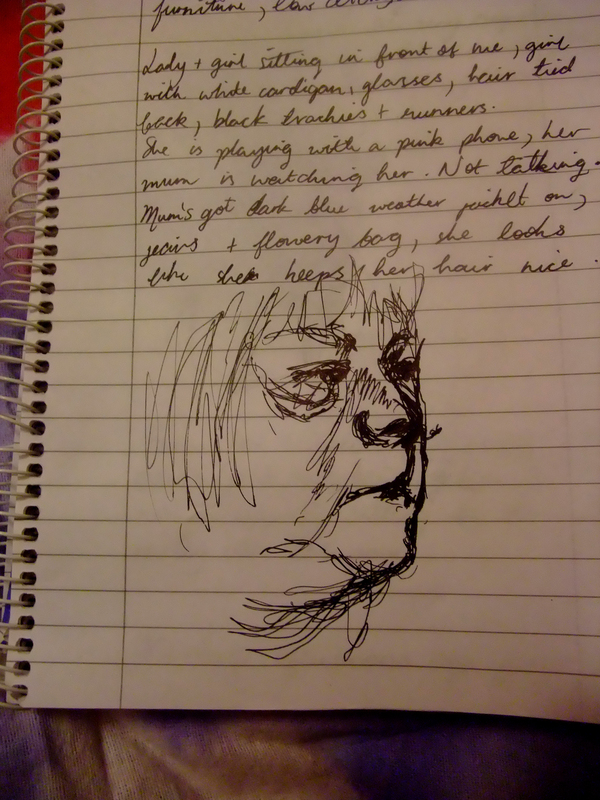 Her mother was watching her, glancing round every so often. I was never allowed to play games on my Nintendo in front of my mum unless I was really ill, was this the case in this situation? Was her daughter really ill? The mother had pursed lips, a dark blue weather-proof jacket on, jeans, a flowery bag and nicely-kept hair. This to me suggests she is not very confident with her body as she is wearing quite plain colours whilst her bag is the opposite. Her pursed lips imply that perhaps she is a serious kind of person, worries a lot and is a hard-worker. Over-excitement – for example, a lady shouted “HOUSE!” really loudly and excitedly over winning a tenner. Possibly this was her first ever win at Bingo, as I would probably be the same! Adrenalin – as the numbers are given by the caller everyone’s heads are down and you can see they are all on edge, biting their lip, not blinking. I guess the adrenalin of winning something can be so addictive, I experienced it too. Tension – between games people chat but as soon as the game begins a whole sense of suspense settles into the room. Complete silence. We also discussed how easy it is to spend money, due to the well-designed and easy reach coin slot machines on the tables. You become influenced by other people inserting coins into them because sometimes they win, which, in turn, makes you believe you have a chance. In addition, when someone wins a round, you realise people become more competitive and attentive as they shuffle in their seats and whisper. Some tables were occupied by, what looked like, families as though the parents were wanting to make more money for the family because her job does not pay quite enough. This research into observing people into detail gives me a great insight into how design effects how people act. From the relaxing music creating a casual atmosphere in Overgate to the anticipating silence conveying a sense of suspense and excitement at Bingo. Luring people by dramatic posters in Claire’s to the easy reach coin slot machines at Bingo. Simply being able to interact and touch items in shops can increase sales dramaticly. All these pieces of design makes such a difference, not only for the customers pleasure, but for the sellers pockets too.